Sitting around the dinner table I like to ask my kids questions. Honestly, there are times I ask question just to stay the insanity of having 8 kids and 2 adults gathered together with all the varied silliness, noisemaking, arguing, and nonsense that goes on making it loud, loud, loud in the Dining Room. But mostly, I ask because I want to hear their hearts, push them to think more deeply and help them to see that to which they would otherwise be blind. What is something funny that happened today? What is something you struggled with today? How did you see God at work? As we sat around the table the other night reading our brief family devotion the focus was on prayer and Psalm 5:3. 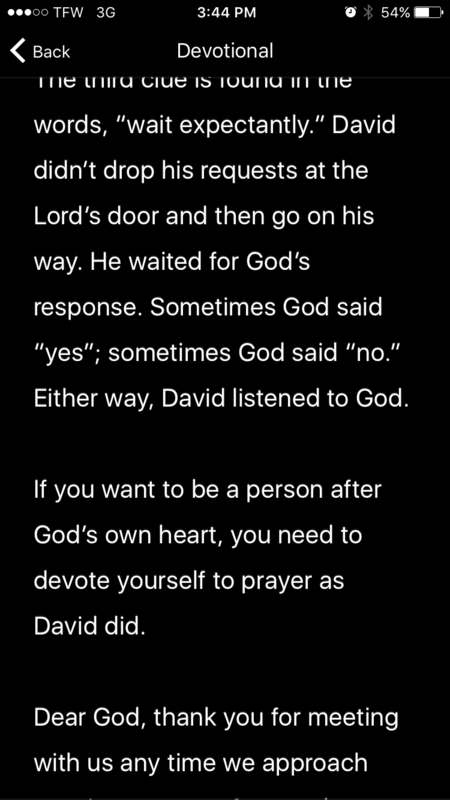 I was noting how “wait expectantly” stood out to me and reflecting on how often I want to “wait expectantly” for God’s yes instead of waiting expectantly knowing that God hears my prayers and will answer… even if that doesn’t mean yes. Right then my eldest chimed in, in a way that doesn’t normally happen, with an openness that held my attention, with a sincerity that still rings in my mind today. His reflection hit me hard. Wasn’t that my own struggle with knowing the will of God? Somewhere around the table it was said, maybe we are only supposed to ask God yes or no questions. Like playing 20 Questions with God to learn His will. And the moment moved on. But it hasn’t left my thoughts. ← Wednesdays with Jillene: Who could imagine a love like that?